Slovenia’s positioning near both Austria and Italy means that many of its cities and towns bear the imprint of the Hapsburg and Venetian empires. However, heading toward the Julian Alps you will find that the scenery changes to be more distinctly Bavarian. 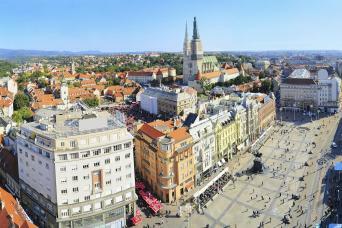 There are two main ways to see the best of both Croatia and Slovenia. If you prefer independent travel, request an individual itinerary that accommodates your interests and the sights you wish to see, such as a self-drive or chauffeured tour. If you prefer the company of a group why not try a Slovenian and Croatia coach tour and/or a luxury cruise. The coach tours encompass Bled, with its mountain ringed lake and fairytale castle perched on top of a 100m cliff, Ljubljana the capital of Slovenia a city of culture and rich historical legacy as well as Postojna Caves, where you will be in awe of the varied and stunning geological formations and inhabitants of the caves. A combination of a land tour and a Croatian cruise gives you the best of all worlds. Contact us today for individualised holidays that we can create just for you!